Dr. Ivy Lim is the first locally trained female sports physician and a qualified family physician. Her clinical interests include sports injuries, pre-participation screening, sports safety, exercise in women and the role of physical activity in chronic disease management. She is the Public Outreach Director for EIMS, and co-edited the book “Exercise is Medicine Singapore Exercise Prescription Guide”. She also co-authored a chapter in the book “Boys to Men: a complete guide for National Servicemen”. 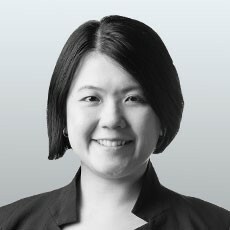 Dr Lim is currently president of the Sports Medicine Association of Singapore, medical delegate for Asian Fencing Confederation, and is in the National Sports Safety Committee. She is also actively involved in undergraduate and postgraduate education in various institutions.